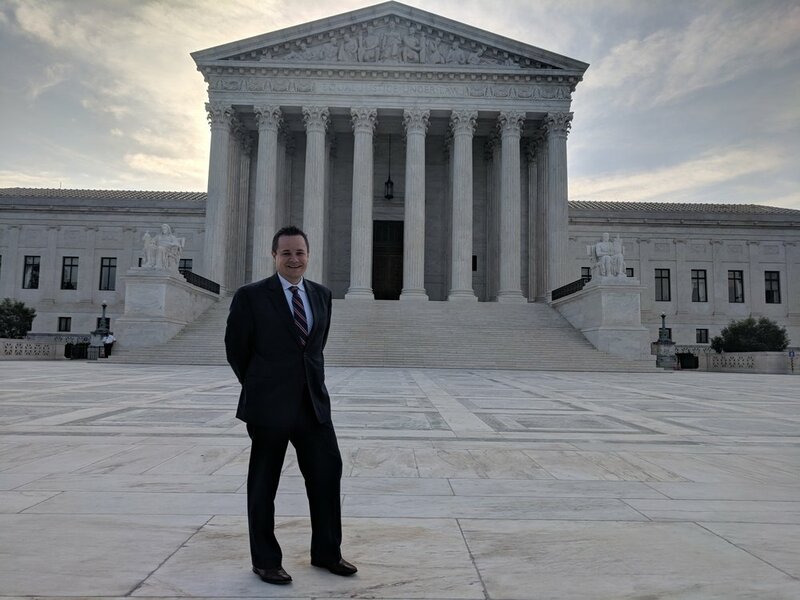 On May 21, 2018, Attorney Ouellette was admitted to the Bar of the Supreme Court of the United States. Nicholas joined 32 other lawyers in the Connecticut Bar Association in traveling to Washington D.C. to be sworn in as members of the Bar. They had the privilege of hearing the delivery of the decision in Epic Systems Corp. v Lewis, which 5-4 decision disrupted protections previously afforded unionized employees. Justice Neil Gorsuch read the majority opinion, and Justice Ruth Ginsberg read a blistering dissent while wearing her famous dissent "jabot." After the ceremony, Justice Ginsberg met with the CBA, sitting for photographs and then answering questions. Afterwards, the CBA attendees lunched at a nearby hotel, and Sam Simon, general counsel for Senator Richard Blumenthal, spoke to the group about using the law to effectuate change and to defend the rule of law. 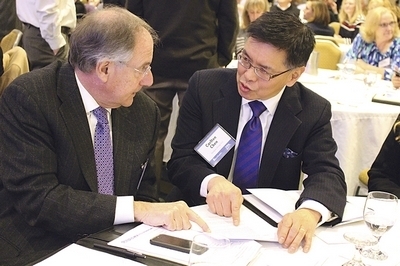 Carlton Chen and Jeffrey Brine recently attended a tax forum in Cromwell, Connecticut, to discuss the impact of the 2017 Federal Tax Reform laws. Both were captured in a photograph taken by the Hartford Business Journal and featured in an article on the potential "chilling effect" of the new federal tax reform laws. The impact of the tax reform laws will continue to affect individuals and businesses over the next few years, and our professionals are committed to helping guide our clients through these legal developments. For more information, please visit the original Hartford Business Journal article. Jeffrey Brine and Nicholas Ouellette attended the West Hartford Chamber of Commerce's Annual Holiday Party at the Atria in West Hartford. The firm has been a long-time supporter of the Chamber, and Jeff serves as a member of the Board of Directors and as general counsel. In August 2017, Samuel N. Rosengren joined Kurien Ouellette LLC. 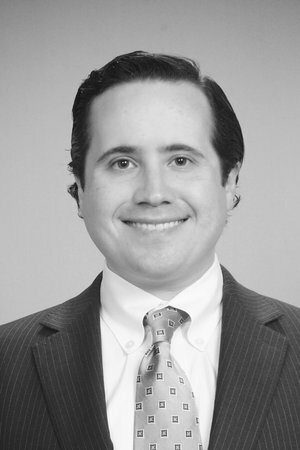 Sam graduated from the University of Connecticut School of Law with High Honors in 2016, where he was also Managing Editor of the Connecticut Law Review and a University of Connecticut Scholar. Prior to joining the firm, Sam clerked for the Honorable Christine E. Keller of the Connecticut Appellate Court. We welcome Sam as a colleague and friend! Nicholas Ouellette provided pro bono legal services in order to help the Friends of Canton Dog Park organize and then achieve non profit status under 501(c)(3) of the Internal Revenue Code. We are very proud of the Friends of Canton Dog Park, and wish them continued success in the future! Matthew Dallas Gordon, LLC recently had the privilege of assisting Marsha Kulcsar in connection with her purchase of Connecticut's first OxiFresh franchise. The firm is proud of Marsha and wishes her every success in her new business venture! Pictured here are Matt and Marsha next to Marsha's new OxiFresh mobile unit!